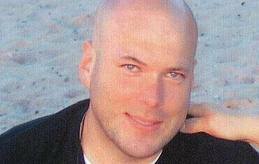 Noah Pippin, an Army National Guard soldier, has been missing since August 2010. It was reported that Noah was traveling back to California, from his parent’s home in Michigan, and was allegedly last seen in Flathead Valley, Montana. After an analysis of his cell phone records, police say the last couple calls were for a pizza delivery, as well as a call to the rental car company which he had rented a car for his trip. He later returned his rental car at the Glacier Park International Airport. After August 31st, 2010 all of Noah Pippin’s cell phone activity suddenly stopped. Originally from Michigan, Noah is a former U. S. Marine whom had served three tours in Iraq. He then joined the California Army National Guard. He had been visiting with his family in Michigan before he left for yet another deployment, this time to Afghanistan with his National Guard unit. Authorities say it is also known that Noah stayed at a hotel in Hungry Horse, MT before heading into the wilderness. Noah’s case was recently featured on the Investigation Discovery channel’s series Disappeared.